This insightful analysis starts by revealing just what Higher Futures– it’s an impartial skills service provided by the Swindon & Wiltshire Local Enterprise Partnership and is the first of its kind in the UK, we discover. One aspect of the organisation’s important work concerns the team of employer skills brokers at the Swindon & Wiltshire Local Enterprise Partnership who work with employers in Swindon and Wiltshire to understand the challenges they are facing around skills gaps and talent development – to provide solutions through partnerships with further education (FE) colleges, universities and training providers. We also learn that higher and degree apprenticeships are a different option compared to following the traditional route of going to university as a full-time student. They offer all the benefits of higher education at no cost to the learner. Higher apprenticeships cover all levels a wide array of job roles in different sectors including: business and IT; construction; creative, media and the arts; customer service & retail; energy; healthcare; public services; as well as vehicles and transport. Add to this, the vital point that on a degree apprenticeship, students will be tested on their academic learning, plus their wider skills and ability to actually do a job. We know that students will be working full-time and fitting in the equivalent of a full-time degree alongside their practical work. 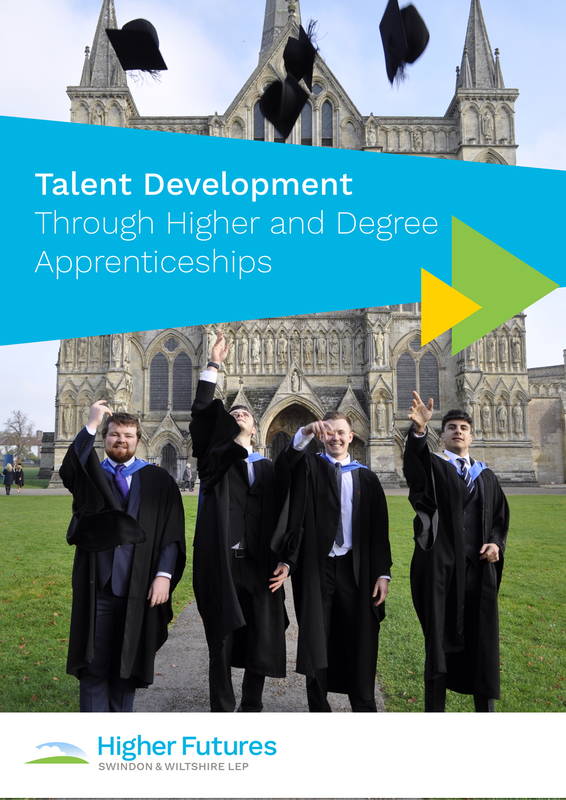 We also know that degree apprenticeships offer employees a competitive advantage of gaining valuable work experience whilst completing their degree. Moving on to the subject of funding, we find out that in April 2017, the government in the UK changed the way apprenticeships are funded, with the introduction of the Apprenticeship Levy for employers with an annual pay bill above £3 million. While all this is wonderful, don’t just take the Swindon & Wiltshire Local Enterprise Partnership’s word for it. Let’s hear from Joseph White, 19, who is working at Avon Protection based in Melksham on a higher level apprenticeship in ICT. He says that after this two-year course, he will probably look to complete a degree and would consider doing this via an apprenticeship at level 5/6. Let’s end with some positive words from Joseph himself.